An eastern Iowa politician may challenge the tradition of resigning after being elected to a new government position. 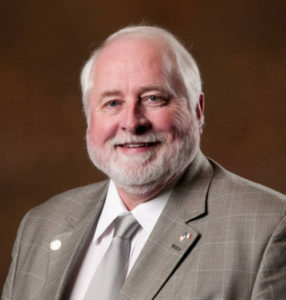 Clinton City Council member Tom Determann, a Republican, was elected to the Clinton County board of supervisors last month, but he’s exploring the idea of serving as a supervisor and continuing to be a city councilman. The city attorney has provided advice to Determann, but he’s not revealing what that legal advice may be. Clinton County Attorney Mike Wolfe has issued a statement about the situation, saying he has “significant concerns” about the prospect of Determann serving as a city councilman and a county supervisor at the same time. The county attorney said his initial review indicates the two positions are considered “incompatible offices” and a person cannot hold both offices at the same time. However, the county attorney did add that other than a 1932 case, there are few other cases like Determann’s to review. Determann is a retired businessman who has been active in economic development groups in Clinton County.